With more than 75 million people fitting into the American baby boomer demographic, it is easy to understand why this group would be important for REALTORS® to understand. Even more eye-popping to REALTORS® is the fact that more than 70 percent of baby boomers own homes, and will be looking to homeownership changes really soon. This spells big opportunities for REALTORS® looking to serve the burgeoning baby boomer market over the next 10-15 years. Baby boomers have money to spend. As opposed to those who grew up in the Great Depression, baby boomers are quite affluent. According to a Nielsen report, they account for $230 billion in sales of consumer packaged goods like coffee, diet soda and magazines, and make up 70 percent of the nation’s disposable income. Baby boomers will also inherit $13 trillion in the next 20 years. Baby boomers invented the suburbs. Suburban home development occurred simultaneously with baby boomers’ ability to make down payments on a mortgage and their desire to leave urban marketplaces. They still live in the suburbs, where many now own 100 percent of their own homes. They plan on living in a better house as they grow older. Seventy percent of baby boomers think their current house is not the best that they can get, and they are looking to upgrade. Baby boomers are setting new trends that defy traditional definitions of a “relaxed” retirement; instead, they are diligently looking for newly-constructed homes where they can continue to pursue an active lifestyle surrounded by the latest amenities. Their brand loyalty is tenacious. Once they find a brand they like—one they grew up with—they stick with it. Volkswagen cars. Levi jeans. Harley Davidson motorcycles. Club Med. Noxzema. L’eggs. 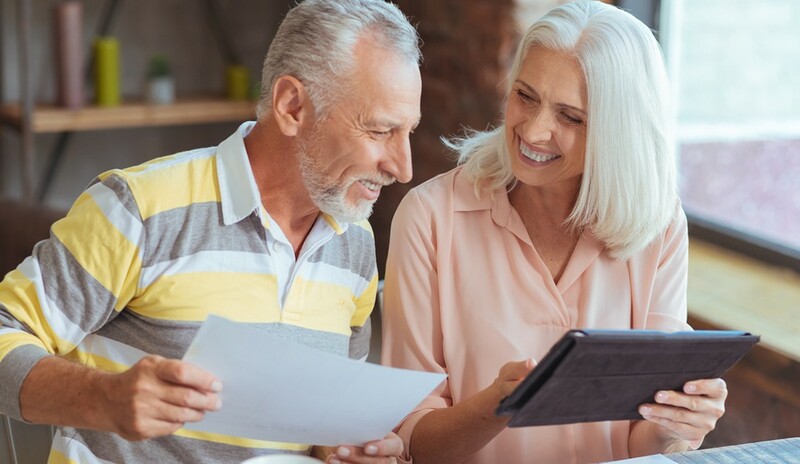 This means that finding out what your baby boomer clients’ interests are will help guide you toward homes that best meet these trends and, ultimately, increase the chances of closing a deal. Remembering Woodstock – The famous music festival was a countercultural event which symbolized that the baby boomers were not going to be defined by their parents’ morals and lifestyle. They were going to think and act for they themselves—and they still want to be thought of that way. The least hint of patronizing the baby boomers will flatten any marketing campaign. Baby boomers do use social media, but in a different way. As you develop your social media strategy for baby boomers, be aware that while a 20-year-old is posting photos of their night out on Instagram or Snapchat, a baby boomer is more likely to post a photograph of a new grandbaby or the new RV they just purchased on Facebook. It’s the more “traditional” venues such as Facebook and Twitter that are used by baby boomers, so keep your focus there. Baby boomers are not ‘old.’ Baby boomers do not want to be reminded of their age or be considered “old;” rather, they want to be encouraged about their accomplishments and their future. They want to hear about the opportunities that reside before them to experience new chapters in their life. In addition to marketing resources for the baby boomer market, this reference also provides magazine and online articles, tips on reverse mortgage basics, housing trends for the 50-plus demographic, related websites relevant to this audience, and links to other resources. View the entire Reference for Working with Seniors resource from NAR. To learn much more about how real estate professionals can best serve Baby Boomers and other 50+ client segments, please consider checking out the education, benefits, and resources offered by SRES® Designation. This entire month of September, the featured 25% OFF course at the Center for REALTOR® Development is the Seniors Real Estate Specialist (SRES®) Designation Course, which is the basic requirement toward obtaining the SRES® Designation. This adapted article originally appeared on NAR’s The Member’s Edge Blog in 2016. The Member’s Edge is a blog for new members to learn all about the benefits provided by the National Association of REALTORS®. It is the go-to resource for everything from real estate ethics to tips for interacting with foreign buyers. The information provided in The Member’s Edge cultivates a capable and educated community of REALTORS®.